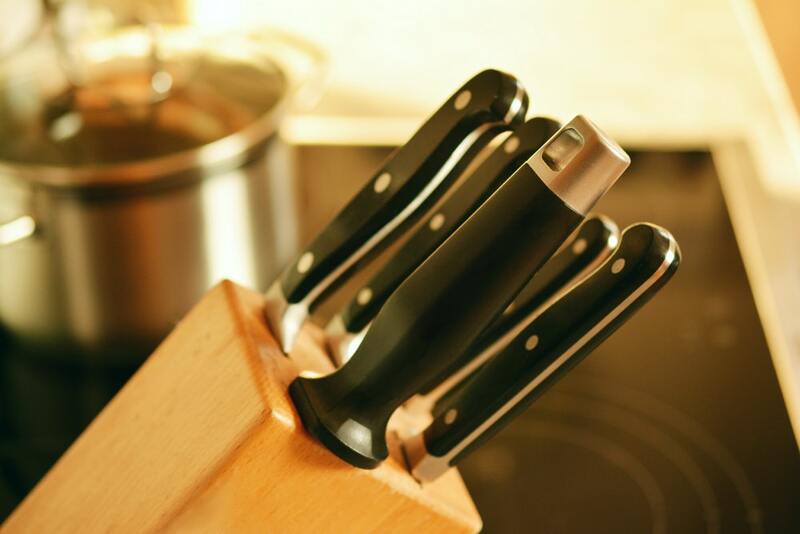 If you want to make your cooking better, safer and easier, one of the best upgrades you can make is using sharp knives. It’s one of those things that you probably don’t think about until you use a well-sharpened knife and realize how easy and convenient it is. It may be obvious but you won’t realize it until you sharpen your knives and experience the huge difference compared to a dull knife. A sharper edge cuts through foods like tomatoes, onions and meat easily. Things that required a lot of effort to chop now feel like you are cutting through butter. Prepping becomes a breeze and even your salads look more professional. A dull knife makes prepping slower and more difficult. You are literally trying to cut stuff by mashing into them with a dull edge. That doesn’t make for very fun cooking. No, I am not stretching the truth here. A sharp knife does really improve the taste and richness of your food. A dull knife pushes the juices out, leaving the onion – and your food – with less flavour. Same goes with tomatoes – you are going to leave a lot of the juice on the chopping board. When it comes to delicate herbs like cilantro and basil, a sharp knife preserves their flavour and freshness in foods and salads. If you’ve ever cut a ripe tomato with a dull knife, then you know how unpredictable the knife edge can be. It slips about and only cuts into the skin after you’ve applied a lot of force. I’m sure there are also a few times when the knife has slipped too close to your fingers or maybe even nicked your skin. That’s the problem with dull knives. You cannot properly control them and the risk of cutting yourself is always high. A sharp knife gives you more control over its movement. You can be sure it will cut exactly where you direct it with no risk of slipping. And even if the worst happens and you cut yourself, a nick from a sharp knife is usually smaller and heals faster. Using a knife sharpening service can cost you as much as £30 for a set of knives. For the same amount, you can buy a decent electric knife sharpener that will cost you nothing except for a couple of minutes of your time. There are several ways to sharpen a knife. They can be divided into two groups: manual and electric. The most common manual method for sharpening a knife is by using a whetstone. You can get one online for £10-£20. Most whetstones have two sides: one side with coarse grit for the first bevelling and the second side with finer grit for a sharp polished finish. When using a whetstone, it is important to pick the right angle which should be somewhere between 10o and 30o. Shallower angles make for sharper edges but they don’t last long. Steeper angles are better. Generally, an angle of 15-20 degrees is best for most knives. An alternative to a whetstone is sharpening or honing steel. Your set of knives probably came with one. It looks like a long rod with a handle on one end. As with a whetstone, it is important to choose the right angle. Here’s a quick video showing how to properly use a sharpening steel. Manual sharpeners take time to use and require quite a bit of skill. An electric knife sharpener is easier to use and sharpens a knife in seconds. These sharpeners use diamond or ceramic grit mounted on spinning wheels. There are different types of electric knife sharpeners depending on the number of slot pairs they have. A single stage knife sharpener has only 1 pair of slots (for the right and left side of the knife). A two-stage sharpener has two pairs of slots, one coarse and another fine. A three-stage sharpener has three pairs of slots. If your knife is very dull, you start with the first stage and finish with the last. If you are just honing a sharp knife, just use the final stage. If you use the knife several times a day, hone it at least once daily using a honing rod or the last stage of an electric sharpener. If you don’t use it very often, sharpen it once a week.